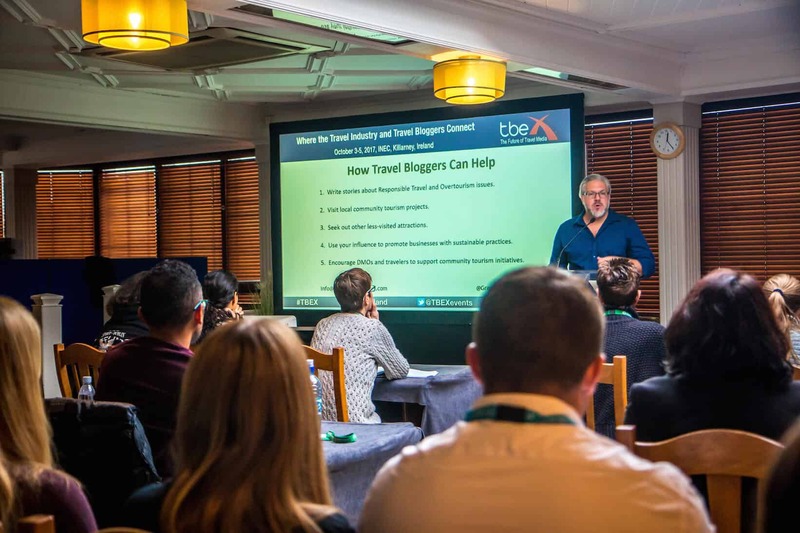 The following is our portion of a joint presentation on the Importance of Community Based Tourism, which we gave at TBEX Ireland 2017. We spoke alongside Cillian Murphy of Loop Head Tourism, a community-focused sustainable tourism initiative on Ireland’s Wild Atlantic Way. Mary and I started Green Global Travel in 2010 because we were passionate about the ethos of ecotourism. So the importance of local communities has been a key consideration of responsible travel right from the beginning. But I didn’t have my first experience with eco-focused community tourism until 2000, when I had a life-changing experience in South Africa. The first place I visited in South Africa was Londolozi Private Game Reserve, which was owned by Conservation Corporation Africa (now called & Beyond). Their land was part of the Greater Kruger National Park conservation area. I’d built up these amazing images in my mind of what an African safari would be like when my friend Tony spent 5 years on the continent with the Peace Corps. So I was disappointed when we didn’t see much in the first few hours. But then we rounded a corner and spotted the massive bull Elephant you see pictured here. 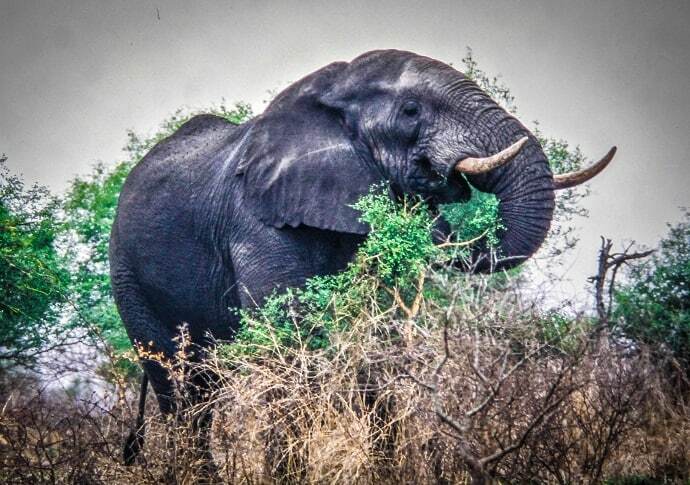 He was 70 yards away, feeding on the fruit of a Marula tree. But as our guide, Solomon, stopped the open-back vehicle, the Elephant turned and began plodding towards us. When he got to within 30 yards, I nervously asked Solomon if we should move on. He said no, and urged me to watch and wait. The Elephant got to within 20 yards, then 15, then 10– so close I could only see his eye in my 200mm lens. Everyone put down their cameras and went silent as he lifted his trunk and sniffed the air. I was overcome with emotion by the power of the moment, and tears filled my eyes. 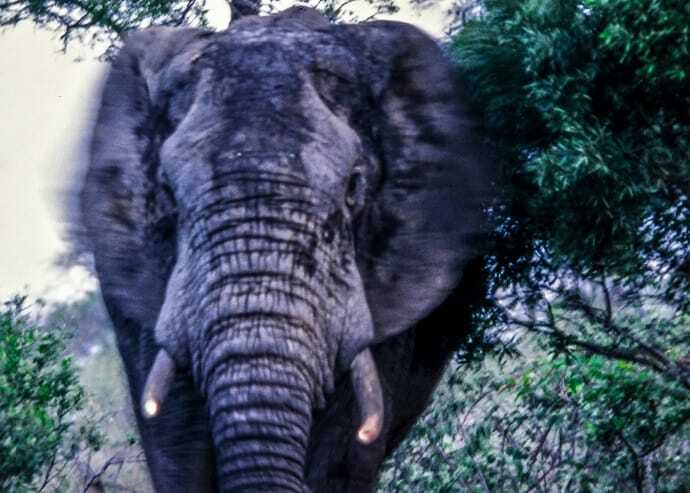 Of course it wasn’t just that powerful Elephant encounter that inexorably changed my life, and the way I chose to travel. Solomon told us all about life in the local villages, and how CC Africa had developed educational programs on conservation. They encouraged locals to learn about the indigenous wildlife, and hired them for jobs as Londolozi trackers and guides. 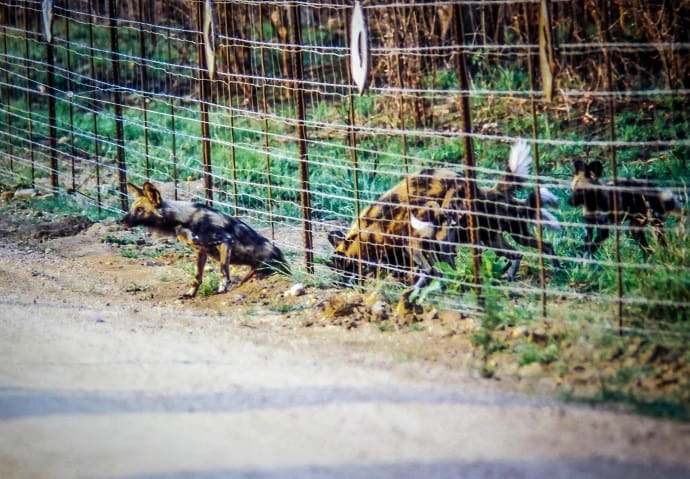 One day we learned that a pack of endangered African Wild Dogs had escaped the reserve and were looking for a way back in. The dogs are often shot by farmers because they kill the cattle and, with less than 400 of the animals left, every one was crucial. You could hear the passion Solomon and his peers from other local reserves had for wildlife conservation as they collaborated via radio to track the dogs. We all watched and cheered as they dug their way under the fence and back into the safety of the Londolozi Reserve. It was then I realized that community tourism is essential in order for travel to be truly responsible and effective. When tourism invests in benefitting locals, the people have a vested interest in protecting the area’s natural resources. This cultural village in Dominica is owned and operated by the Kalinago, the indigenous people of the Caribbean. They were originally known as the Carib Indians, and have been largely relegated to living on reservations. The Kalinago Barana Aute is a wonderful attraction created in 2006 by former Kalinago chief Faustulus Frederick. Located along the Crayfish River, the village offers a glimpse of their traditional way of life. Activities include learning about traditional Kalinago music and dance, canoe building, basket weaving, cassava bread baking, and herbal medicine. 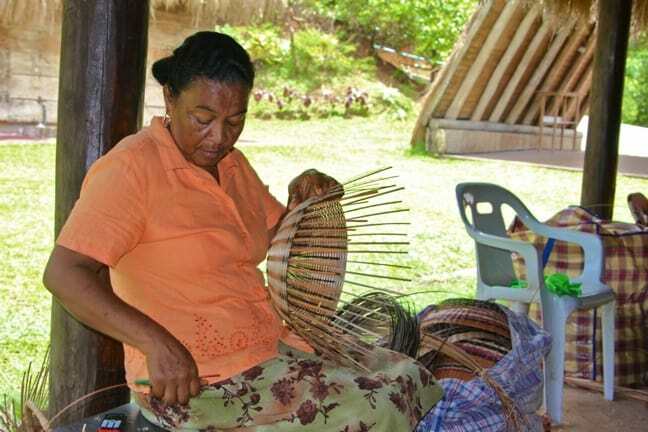 All of the profits from the attraction help employ members of Dominica’s Kalinago community. This camp in the Wadi Rum Desert of Jordan, owned by a local family, offers visitors an immersive experience of Bedouin cultural traditions. Guests either sleep in traditional goat hair tents or on futons out under the stars. There’s a sumptuous buffet of Middle Eastern food, including kebobs and bread cooked on a grill right before your eyes. 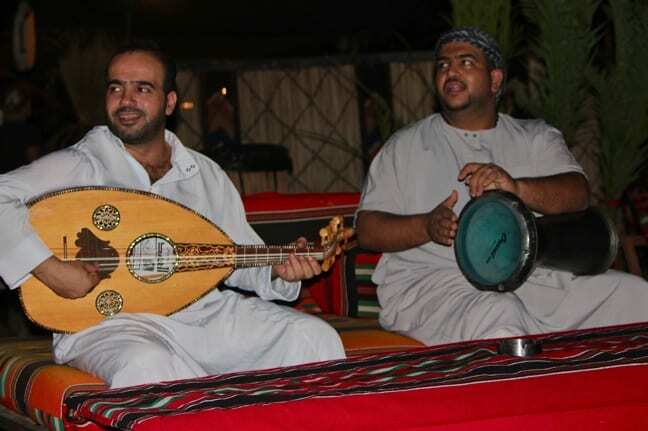 There’s lively Arabic music, which, on the night we stayed, was played by Palestinian and Syrian refugees. Captain’s Desert Camp also offers tours of Jordan, including 4X4 tours of Wadi Rum at sunset, sunrise camel trekking trips, and guided tours of Petra. It’s a great way to explore the area and see it through the eyes of its indigenous people. 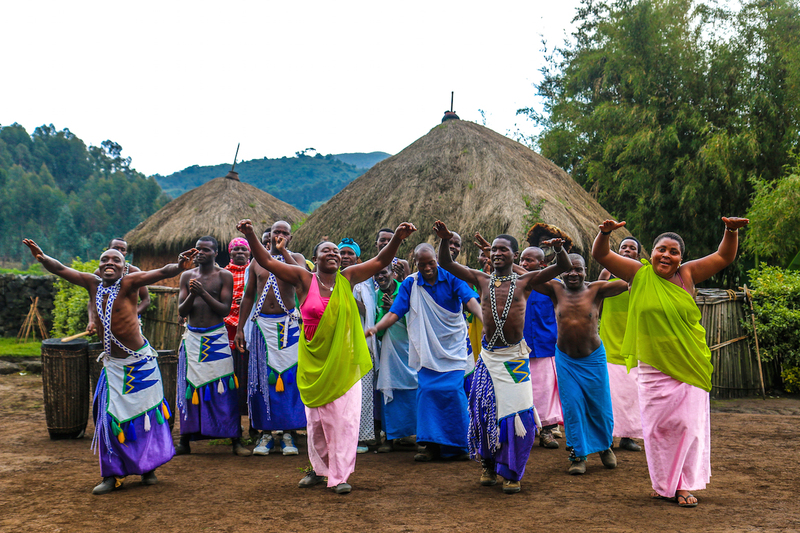 Arguably our favorite community tourism initiative we’ve visited, this cultural village was founded by 2015 CNN Hero Edwin Sabuhoro. A former warden at Volcanoes National Park in Rwanda, Sabuhoro quit his job and founded Iby’iwacu in an attempt to stop poaching and protect the park’s critically endangered Mountain Gorillas. Hunters weren’t killing them intentionally, but the gorillas would get caught in traps set out to catch deer and buffalo, which poachers used to feed their families. So Sabuhoro bought land at the foot of the mountains and promised jobs to hunters who stopped poaching. Now he employs nearly 1,000 people, who teach visitors about Rwandan culture, work on Pyrethrum farms, or serve as porters in the national park. As a result, Rwanda’s Mountain Gorilla population is gradually on the rise. Sahuaro’s success so impressed the Rwandan government that they now donate 5% of Volcanoes NP fees to fund local community projects, such as building hospitals and schools. One of the fastest-growing buzzwords in the travel industry this year is Overtourism. 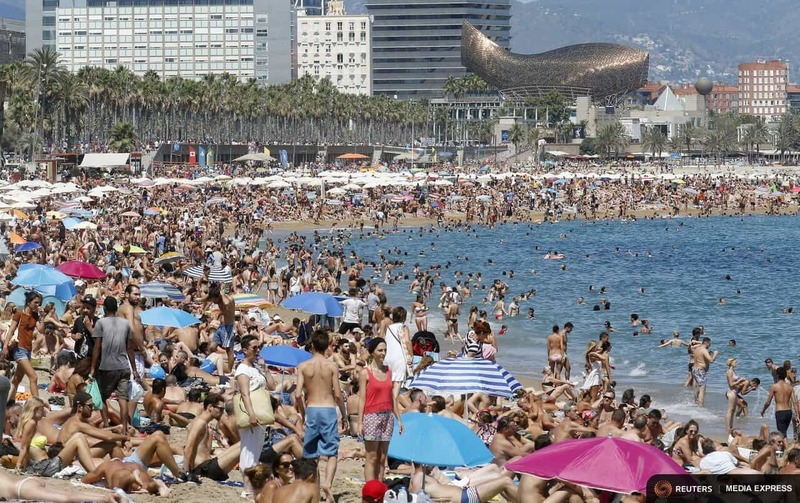 The natural result of Mass Tourism, overtourism is the opposite of responsible, community-based tourism– overcrowded, unsustainable, and exploitative. Overtourism is often the result of cheap flights and cruises, un-checked development, and poor government planning. And, unfortunately, it’s happening with increasing frequency all across the world. Dubrovnik has been threatened with losing its UNESCO World Heritage Site status if they don’t limit tourist numbers. In Barcelona, locals are being priced out of their neighborhoods because landlords make more money renting on AirBnB. On Scotland’s Isle of Skye, roads are so crowded in summer that locals can’t get to the grocery store or visit their families. When local communities aren’t given a voice in tourism, there’s a resulting rise in anti-tourist sentiment. Radicals slash bus tires and break hotel windows in Spain. Huge demonstrations erupt in Venice, a city of 55,000 residents swarmed by over 20 million visitors annually. This type of overtourism is unsustainable and irresponsible. I had a disagreement with another blogger at dinner the other night. He suggested that it’s the government’s responsibility to manage tourism numbers, He said travelers can’t be blamed for wanting to visit Barcelona, Venice, or other dream destinations. But I personally believe that responsible community tourism can be the antidote to the problems of mass tourism. And Edwin Sabuhoro’s success in Rwanda proves that all it takes is one person of passion to start a grassroots movement that grows from the ground up. 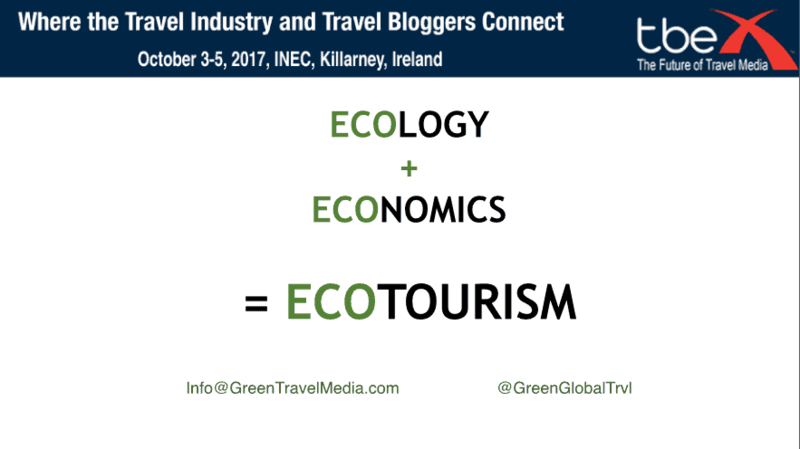 • Learn more about the issues surrounding responsible travel and overtourism, and write about them regularly. • Visit local community tourism initiatives when you travel, and share them with your followers. • Seek out less-visited attractions and ask locals for recommendations. In Skye, our Rabbie’s tour guide recommended a secret Fairy Pool, where we literally didn’t see another soul! 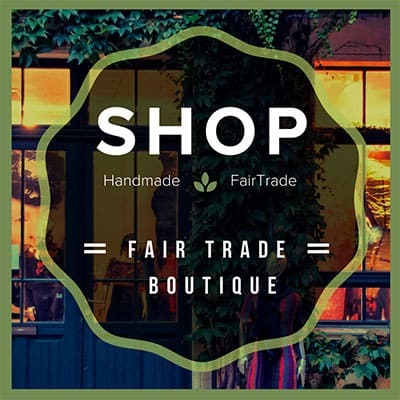 • Promote businesses that emphasize sustainable travel practices. • Encourage both readers and DMOs you work with to support community-based projects. • Network and share your stories with other Responsible Travel bloggers in Facebook groups such as Responsible Tourism Networking, Responsible Travel Bloggers, and the Ecotourism & Adventure Travel Writers Association.